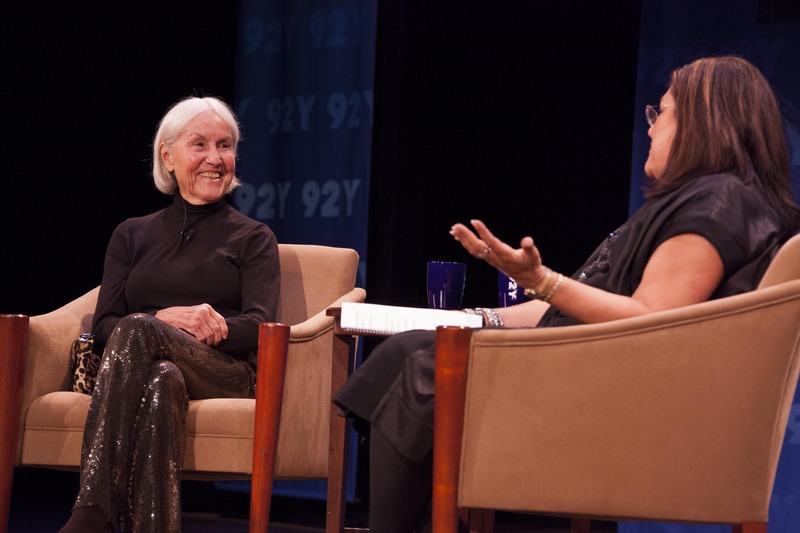 Last month, Fern Mallis hosted the Fashion Icons series with fashion stylist legend Polly Mellen at 92Y. The auditorium filled with enthusiasts and a few Vogue and Harper’s Bazaar alum, were excited to hear stories about her years thriving in the fashion industry collaborating with such notable photographers as Richard Avedon, Helmut Newton, and Mario Testino. And to learn of her movie star crush, William Holden, (whom she did meet!) as well as discuss the groundbreaking photos including the most expensive photo shoot in history to date. Before Mallis introduced her to the room, the onlookers viewed a 1993 video of Polly Mellen receiving the CFDA’s Lifetime Achievement Award. In case you missed it, this season HBO is running the documentary, In Vogue: The Editor’s Eye, based on the book of the same name which highlights the influence Vogue editors past and present including Mellen and Grace Coddington made to the fashion world. Now at 88 years old, with still the best posture in the industry, Mellen sat down for a chat with Mallis in Vera Wang sequined pants. 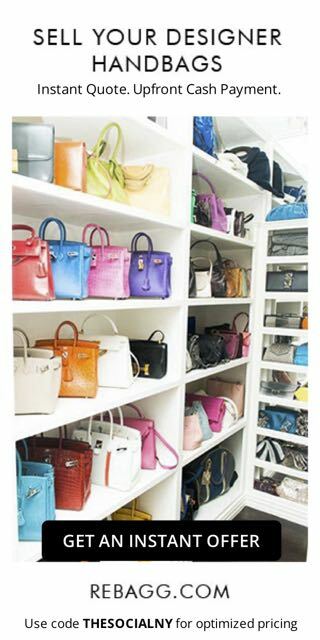 Polly Mellen began her fashion career working window displays at Lord & Taylor in New York City. Her interest in fashion as fantasy led her out of the “college shop” to editor at Harper’s Bazaar, working for Diana Vreeland, and collaborating with Richard Avedon. 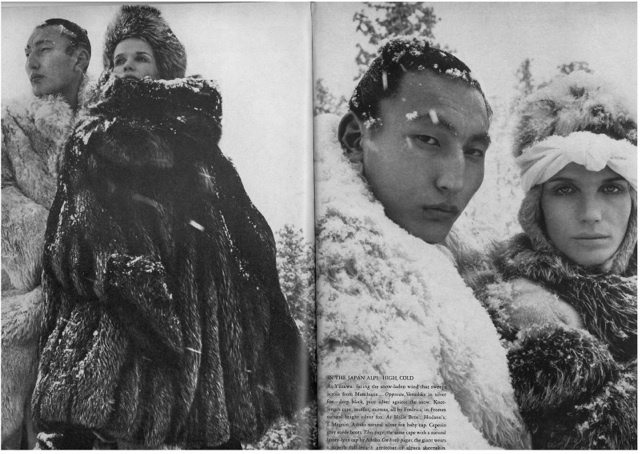 Later, the three moved on to American Vogue making history by spending 5 weeks in Japan to create The Great Fur Caravan, the most expensive photo sitting the magazine had ever produced, featuring model Veruschka with a 7 foot Sumo wrestler. Mellen confessed to the crowd: “ I was a spoiled brat- I knew it, I know it, and loved it”, which the crowd loved indeed. 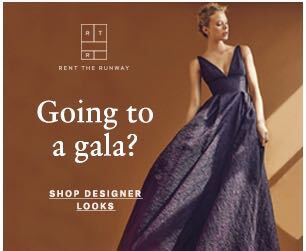 As the evening winded down she made sure to pass on a little career advice she received years ago from Harper’s Bazaar editor, Carmel Snow, “Go see every designer everywhere. You never know where the next talent is coming from. Open your eyes, have a little humility and let go of ego.” Polly- We thank you!